Aside from forgetting to read the scores off at the end of the rounds a couple of times, I would say my maiden voyage as a host went pretty smooth! Falcon Punch kept me in line and kindly reminded me when I needed to do something that I hadn't. The internet was kind of wonky to begin the evening, but shortly subsided to it's kind-of-working self for the rest of the evening. 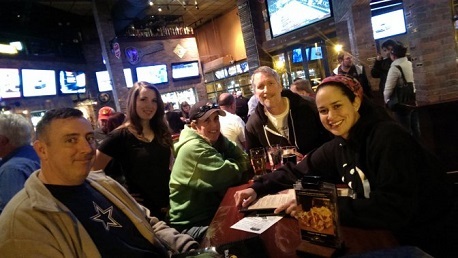 All in all, it was a good night of trivia for the 10 or so teams that showed up.